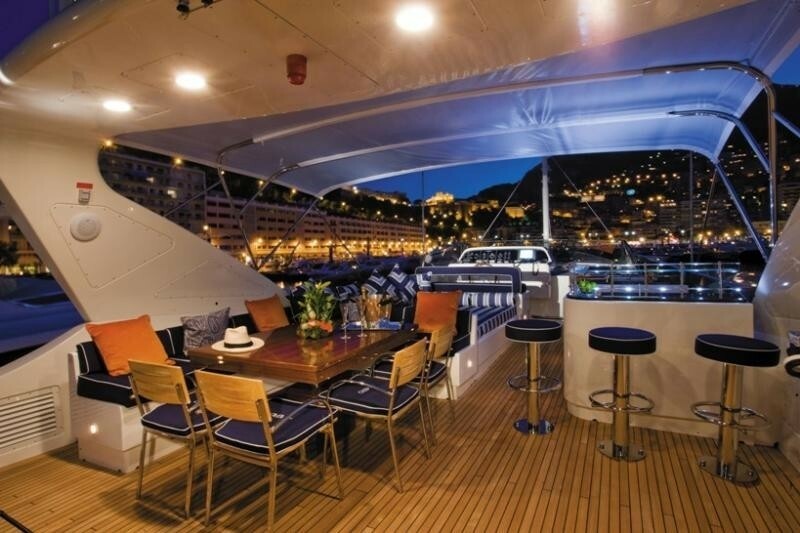 On deck, her layout is very functional with alfresco dining on both the main aft deck and on the upper deck where there is also a bar with stools, sunpads and several sun loungers. 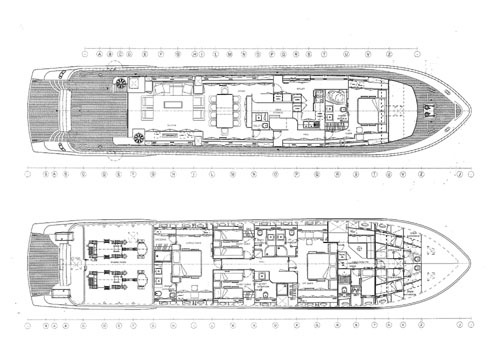 A further sunning area is located forward of the bridge. 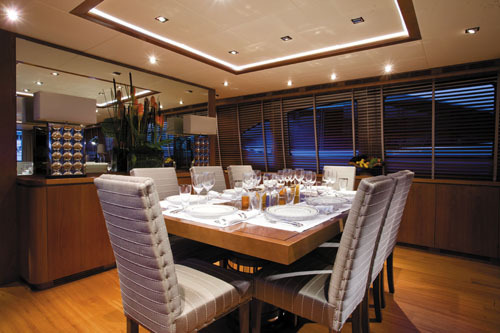 Her exceptional flow continues internally where her open salon provides excellent for formal dining or relaxed entertaining. 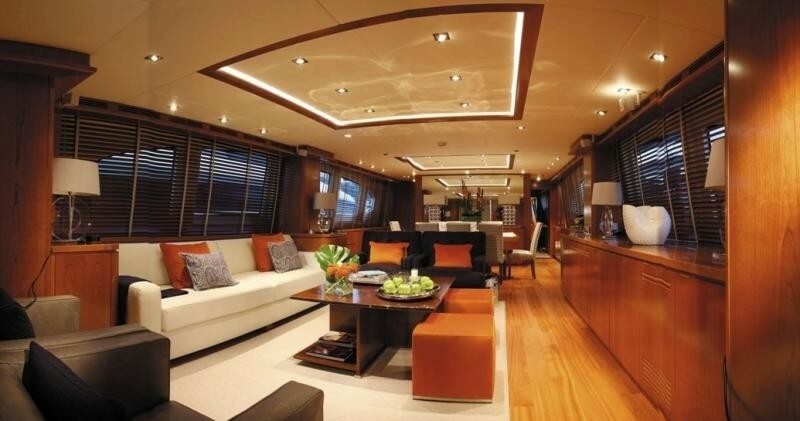 Her interior is contemporary and modern with neutral tones enhanced by cherry wood with splashes of colour. 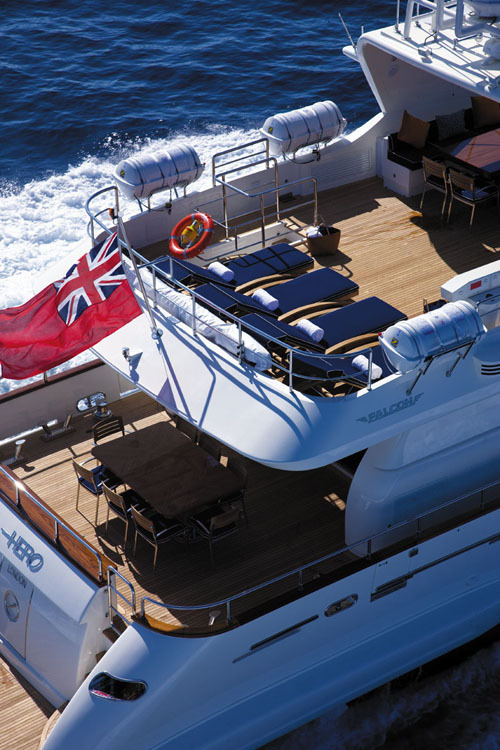 Motor Yacht HERO offers spacious accommodation for up to 10 guests and a host of toys and facilities to keep them entertained. 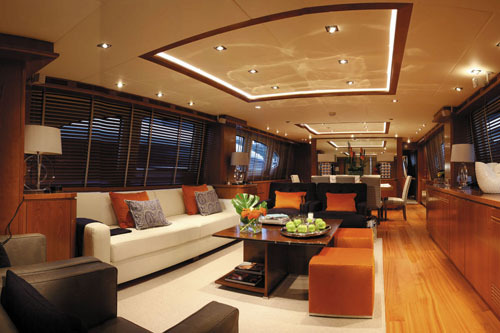 Guests will also be pampered by six professional crew. 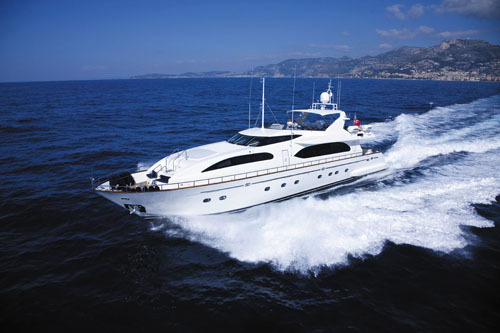 With a high cruising speed 20 knots, you can cover the Riviera from St Tropez to Monaco in no time at all. 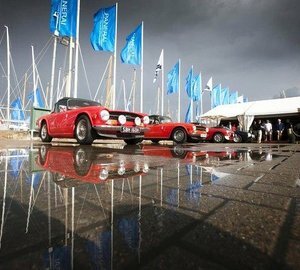 HERO is often available for event charters on the French Riviera including MIPIM, MIDEC, MIPTV, Cannes Film Festival and the Monaco Grand Prix so please enquire for specific details. 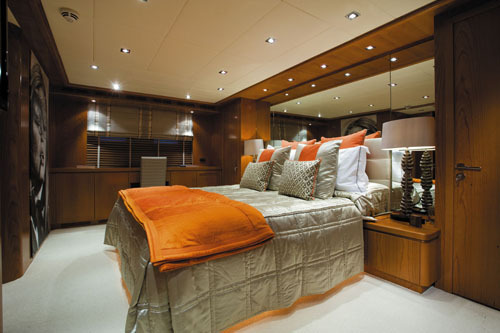 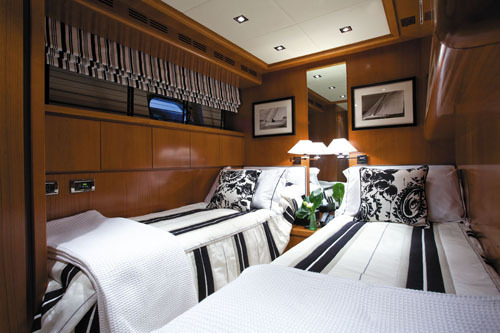 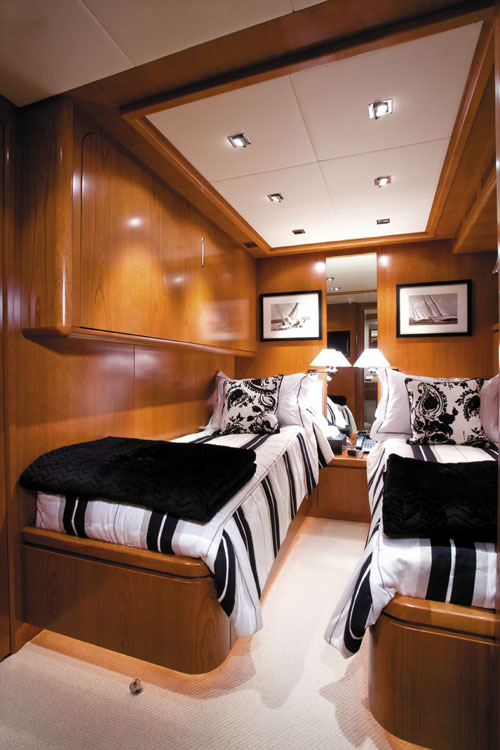 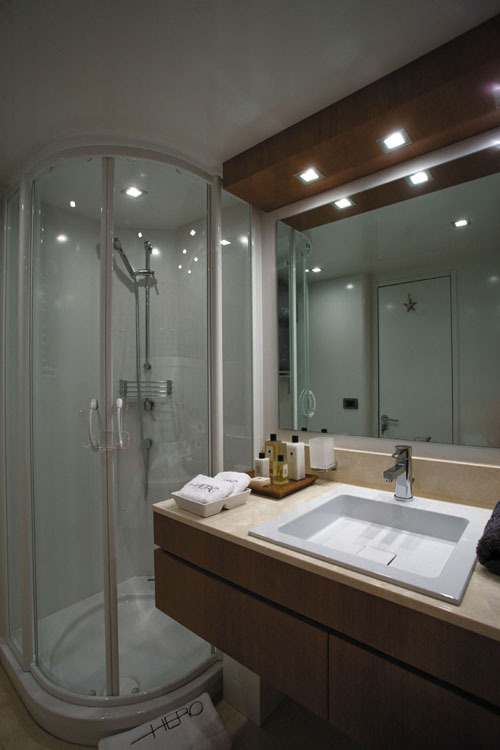 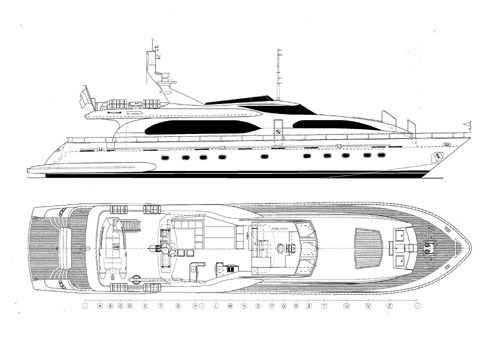 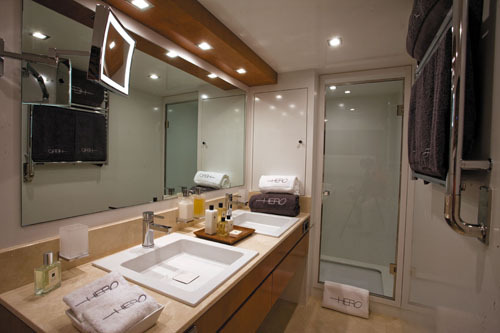 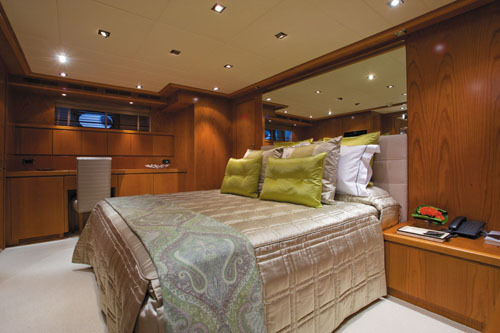 Luxury Motor Yacht HERO offers accommodation for ten guests in five staterooms, each with private ensuite facilities. 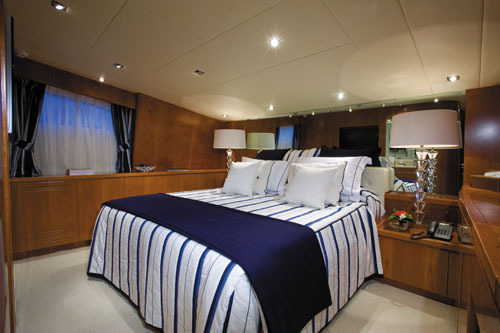 The Master stateroom is situated on the main deck and two double cabins and two twins each with an additional Pullman bunk are on the lower deck. 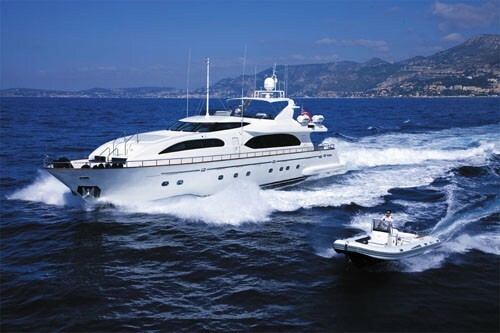 Motor Yacht HERO is equipped with a BSC 7 m RIB tender with a Yamaha 225 Hp engine and a host of toys including water skis, a wake board, a kneeboard, doughnuts, a toweable tube and snorkeling gear. 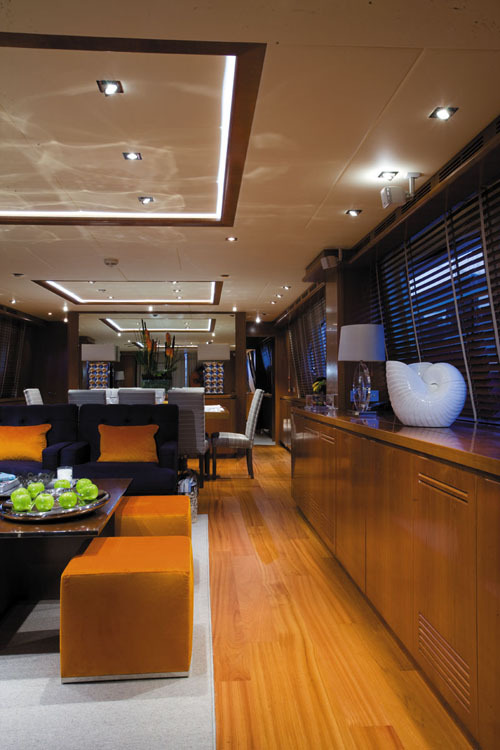 Communications onboard include VHF and SSB radios, a Panasonic telephone unit which is also an interphone and WIFI internet only in French and Italian waters. 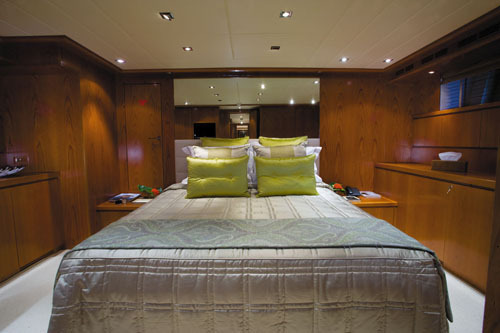 Entertainment facilities onboard include a TV with DVD multizone and a sony CD radio player with I-pod docking station in each guest cabin and the salon; Sky TV in the salon and the owners cabin, an Audio Bose Surround Sound System with 4 independent control zones including the Salon, aft deck, fly bridge and foredeck. 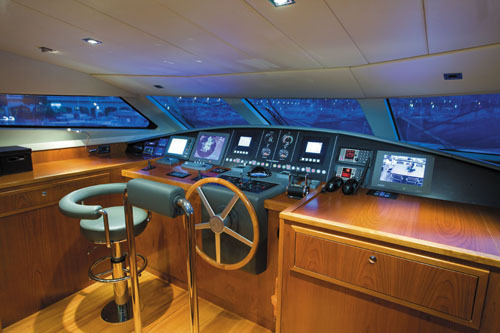 There is also a Sony CD player with I-pod on the sundeck and another on the aftdeck.